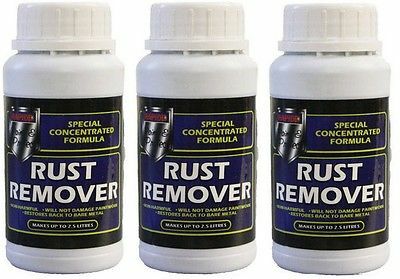 Simple concentrated rust removing solution. Perfect for cleaning up smaller items that can be correctly subermsed. Uses Phosphoric acid and immersion to achieve corrosion removal. 1x250ML Bottle (not three as shown).